We’re taking a break this week from our usual sports betting tips with bet365 to take a look at what is on offer at another of our partner sites, Leo Vegas Casino. The site, a very popular one with UK customers in particular, boasts a large number of top-quality casino games and slots and has regular promotions on offer for its customers, including free spins offers. Leo Vegas though is not just a casino any longer. The company also has its own Live Casino, which boasts live streams of many top casino games, offering you as close a real casino gaming experience as you can get. 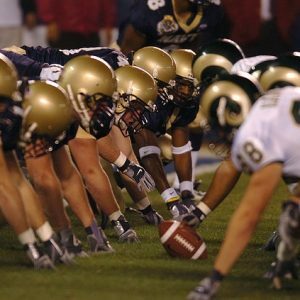 In addition, the company also released its sports betting platform Leo Vegas Sports a while ago and it offers plenty of sports betting to its customers, all accessed from your single Leo Vegas account. Remember if you want to sign up at Leo Vegas then you can qualify for some free spins as a new customer. Simply sign up today with the latest Leo Vegas Casino Signup Bonus and you’ll get 20 Free Spins before you even make a deposit, with which you can try out a slot game on the site. Without doubt one of the most exciting things about wagering at Leo Vegas Casino is the sheer range of slot games there are available and in particular, the huge amounts of money that are available to be won playing some of the progressive jackpot slot games you can find on site. 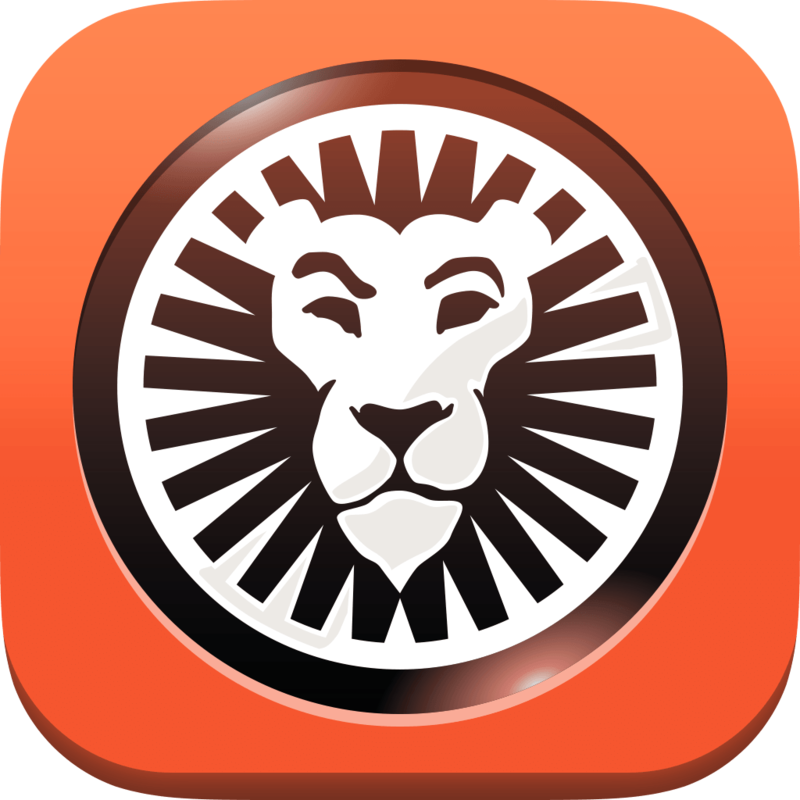 Currently, as of Monday 4th February 2019, there are a total of five progressive jackpot prizes available on Leo Vegas that are running in excess of a million pounds, in some cases, the jackpot prize is actually way beyond that amount. 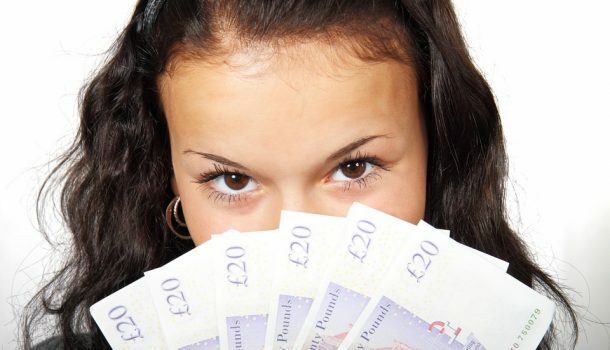 In this article, we are going to give you the lowdown on each of the five games with that top prize on offer and give you all you need to know to chase the big jackpot prizes available right now. We are going to begin with the smallest jackpot prize available over a million pounds which is currently available on the Microgaming slot, Major Millions. Major Millions is a 15-pay line, 5-reel slot from Microgaming which has seen the jackpot rise over the last few months and over the early weeks in 2019, it has crept over the 1 million mark. The game is based on a military theme and you can select the number of lines in play on each spin. It costs £0.20 per line on each spin. However, to stand a chance of winning the progressive jackpot prize, you need to bet all 15 lines on a spin, which means a minimum bet price of £3 per spin. The progressive is awarded if you land all five of the Major Millions progressive jackpot Wild symbol on the 15th pay line of the game. Land the same five Wild symbols on any of the other 14 pay lines and you win 8,000 coins, a sizeable prize, but nothing compared to the big money currently available on the game. This jackpot has crept up to just under 2 million before now and although most of its wins have been below the million mark, there are a number of wins above it too, as the next one in the game will be. NetEnt’s famous Hall of Gods slot has paid out some big prizes in the past, some at over 3 million and one at over 6 million, but currently the progressive jackpot prize stands at just over £1.6 million, which would be a very nice prize for any slot gamer to pocket. The slot is based on Norse mythology and you can get the reels spinning from as little as £0.20 per spin, although you can wager up to £50 per spin too if you are a higher roller. The game has three progressive jackpot prizes, the Mini jackpot (which is usually in the thousands), the Midi (which is in tens of thousands) and the Mega (which is at least hundreds of thousands, if not millions). The key to winning the jackpot is to land three of the Mega Jackpot symbols on the Hall of Gods bonus game, by selecting the right shields. Once you land three jackpot symbols, or equal cash amounts, you win that prize and the game ends. Another popular Net Ent slot is the Mega Fortune slot, which is a progressive jackpot game that currently has a prize of over £2 million up for grabs. Like Hall of the Gods, this slot also has three progressive jackpot prizes, the Rapid Jackpot (which is a small prize), the Major jackpot (which runs into tens of thousands) and of course the big Mega Jackpot. 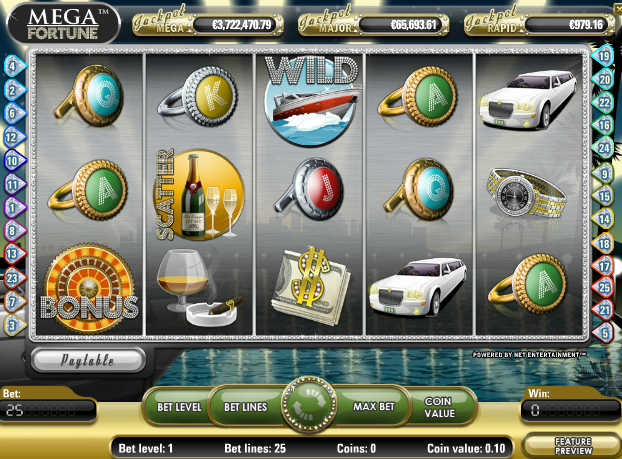 The 5-reel 25-line slot is based on the theme of luxurious living and it has produced some incredible jackpot winners, including one win of 11.7 million Euro and the largest ever win on the slot was a 17.8 Million Euro win in January 2013. With spins costing £0.25 to £50 per spin, it is a game most people can afford to enjoy and the progressive jackpot is won on the Mega Fortune Bonus game, where you have three consecutive wheels which you must spin and progress through to land the massive jackpot bonus. 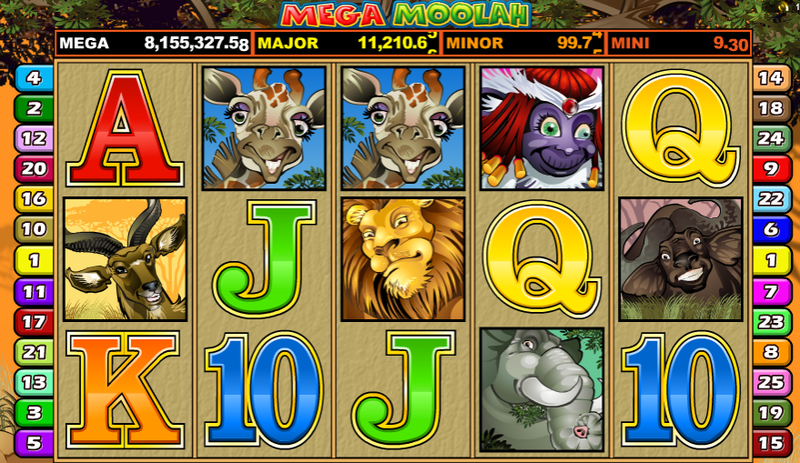 This slot is NetEnt’s updated version of the Mega Fortune slot and once again is based on a luxury theme. Released in 2014, this 5-reel slot starts at just £0.20 per spin although you can wager up to £80.00 per spin if you choose to do so. Once again the key to landing the huge progressive prizes (of which there are three once again), is to land the Mega Fortunes Dreams Bonus Wheel game. This is the same kind of deal as the original game bonus, where you spin three reels in succession to either win a cash prize or get very lucky and hit the Mega Jackpot prize. Suitable to play on mobile as well as desktop devices, this version of the Mega Fortune slot may not have paid out the same high prizes as its predecessor as yet but it certainly has the potential to do so over time. Microgaming’s most famous slot and one of the most famous games in the world has already paid out a huge 20 million plus jackpot prize already this year, possibly to a Canadian-based player but since that jackpot was won in Canadian Dollars, not British pounds, there’s still a pretty penny left in the prize pool, with now over 9 million pounds up for grabs. Playable from just £0.25 per spin, you can win on the Mega Moolah jackpot prize on any spin by triggering the Jackpot Bonus Game. On this game you spin one reel and if you hit that white sector for the Mega Moolah jackpot prize, you win the massive jackpot, although there are three other jackpots, Mini, Minor and Major that you are more likely to win. This is the online slot that has paid out a world record win back in September 2018 and then paid out another 20 million prize just a few days ago. Don’t think that it cannot be won twice in quick succession, the jackpot has been one just 5 days and 2 days apart and on May 22 2017, it was won twice on the same day!